A moving, wonderful film about a grand and enduring love story. 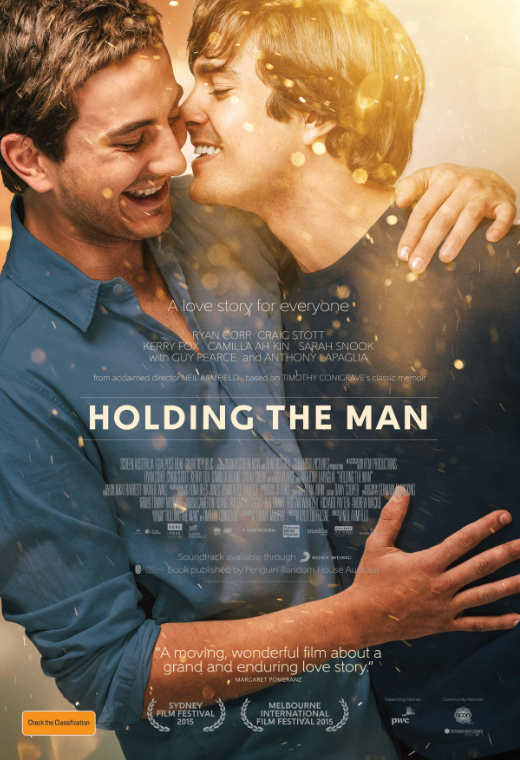 Based on the much loved and hugely successful memoir and stage play of the same name, HOLDING THE MAN is the warm, funny and extraordinarily moving story of the 15 year long love affair between Timothy Conigrave and the boy he fell in love with at high school, John Caleo. Tim, was an aspiring actor. John, the captain of the school football team. Their relationship blossomed and endured in the face of everything life threw at it – pride, adversity, discrimination, temptation and loss - until the only problem that love couldn’t solve, tried to destroy them.